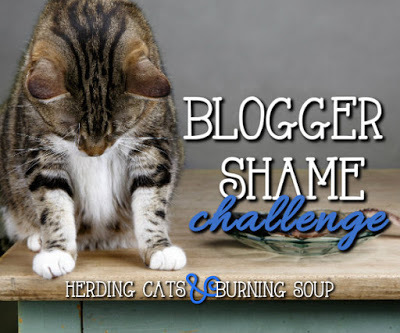 Hosted by The Broke and the Bookish, this week’s topic: Top Ten Series I Haven’t Finished. My reasons for not finishing these series range from “eagerly awaiting the next title” to “distracted by other books” to “lost interest or declining quality.” You’ll notice that I intend to return to a number of them — when I can find the time amid all my other reading! 1. The All Souls Trilogy, by Deborah Harkness. Fantasy, romance, vampire novels, historical fiction — Harkness’s trilogy doesn’t fit neatly into any one category. 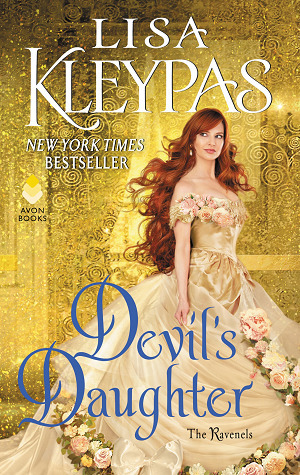 I’ve read, loved, and reviewed the first two novels, A Discovery of Witches and Shadow of Night; the latter just came out in July. There’s no date yet for the third book. I hate waiting, and have been known to hold off starting a series until the entire thing is published, but I just couldn’t hold back on these! 2. The Kingkiller Chronicle, by Patrick Rothfuss. 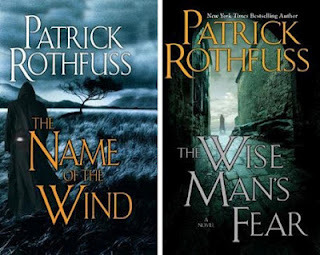 These fantasy novels are incredible — meticulous and thoroughly believable world-building, a likable but not entirely trustworthy narrator/main character, and phenomenally good writing. Actually, I’ve only just finished The Name of the Wind, and it will probably be months before I’ve read Wise Man’s Fear, but that’s because I’m listening to the audiobooks with my daughter as we drive to and from her college classes. 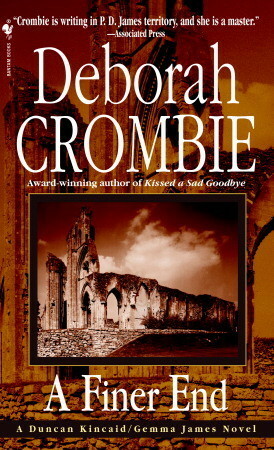 Still, we’ll be done with book two well before The Doors of Stone, the third book in the series is available, since no date has been set for that one, either. That means another long wait. Sigh. 3. 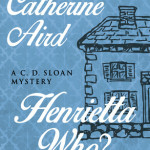 Deborah Crombie’s Duncan Kincaid & Gemma James mysteries. 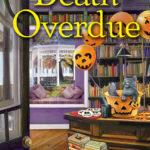 I’ve read the first eight books of this contemporary British mystery series, and they are terrific. (The first one is the weakest, but given how good these are, that’s not much of a criticism.) I’m not really sure why I stopped reading them, except that there was a lull in getting them from the library and I got distracted by other books. 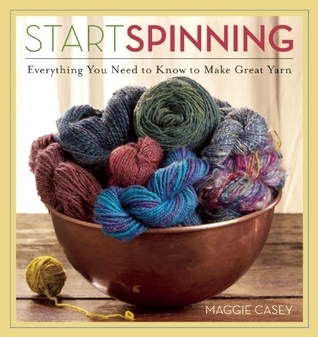 I definitely need to put the next one on hold at the library. 4. 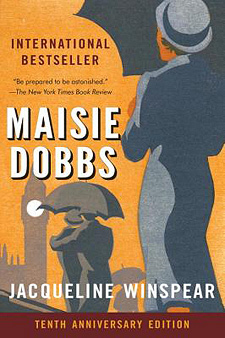 The Maisie Dobbs mysteries by Jacqueline Winspear. 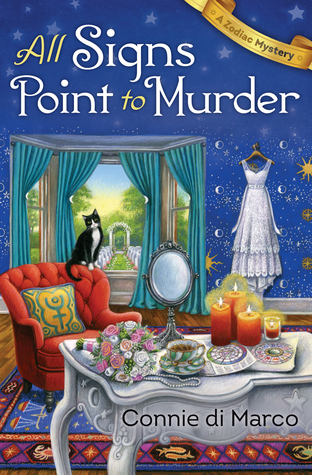 Another really wonderful mystery series, this time set in post-WWI Britain, with a private investigator who uses psychology and an occasional hint of psychic talent to solve crimes. Once again, I got distracted and stopped keeping up with them somewhere around book 3. Lucky me — that means I’ve got about 6 more to read! 5. The Green Rider high fantasy series by Kristen Britain. 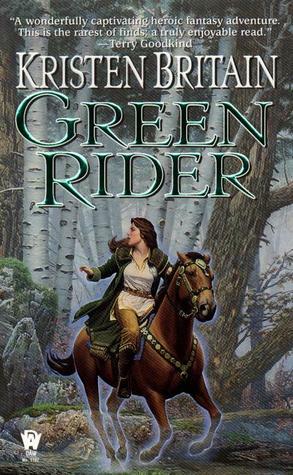 I finished the first book, Green Rider, which I liked quite a bit despite the fact that the young heroine is almost too lucky/gifted. 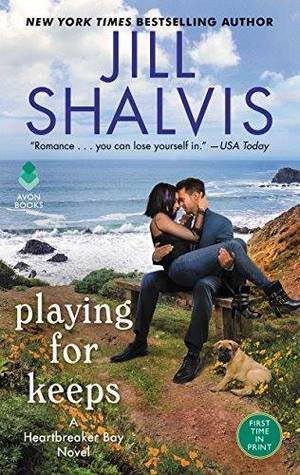 Then I got distracted before I got very far into the second book, left for vacation without taking any physical books with me, and First Rider’s Call became buried near the bottom of my TBR pile. I still intend to get back to it, once I finish reading and reviewing all the books I’ve committed to review! 6. 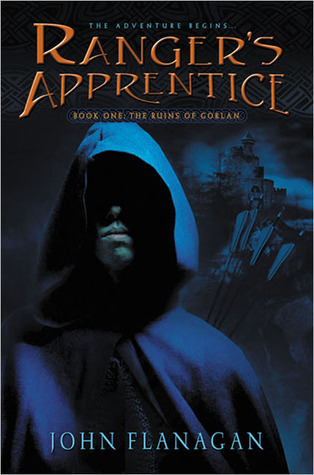 The Ranger’s Apprentice books by John Flanagan. I really enjoyed the first two books in this MG/YA fantasy series, but bogged down in the third for some reason. However, my daughter has been urging me to try again, so I plan to start back in with book four. 7. Shirley Tallman has four historical mysteries featuring Sarah Woolson, with a fifth coming out this fall (Death on Telegraph Hill, Oct. 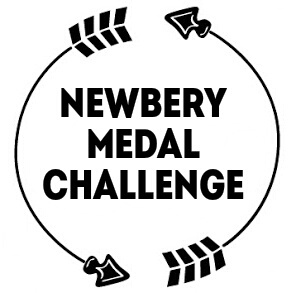 2012.) I’ve only read the first on, A Murder on Nob Hill, and I had to try three separate library systems before finding that one! 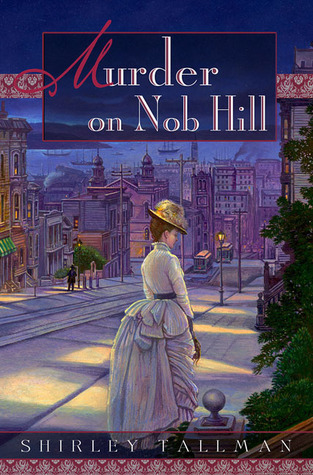 I enjoyed reading it, and would very much like to read the rest of the series, which takes place in late 19th-century San Francisco. I may just have to break down and either buy the books or resort to inter-library loan. 8. The Sevenwaters novels by Juliet Marillier. A highly-regarded historical fantasy series, and deservedly so. 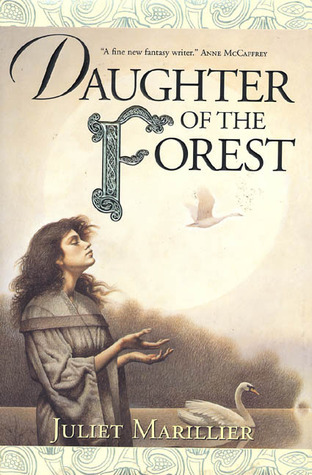 I read Daughter of the Forest a few years ago; it was very well-written. At that time, I didn’t have any of the other books; I now have the second, third, and fourth, so I look forward to delving back into them. 9. 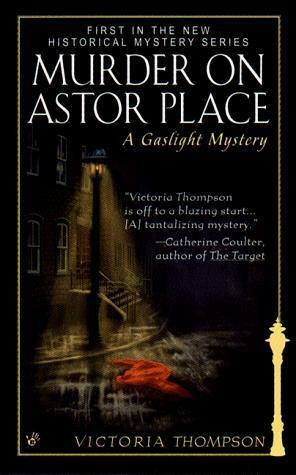 Victoria Thompson’s Gaslight Mysteries. 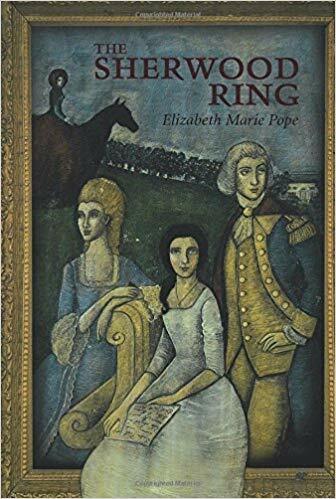 I wanted to like this historical mystery series, but the first one contained a theme I find very disturbing, so I quit reading without even finishing the book. Perhaps someday I’ll try one of the other books in the series. 10. The Riftwar/Serpentwars novels by Raymond Feist. I first read the high fantasy Riftwar trilogy (Magician, Silverthorn, and A Darkness at Sethanon) about 20 years ago, and loved them; I still do. I also enjoyed the two Krondor’s Sons sequels (Prince of the Blood and The King’s Buccaneer.) But somewhere in the Serpentwar saga, I bogged down. 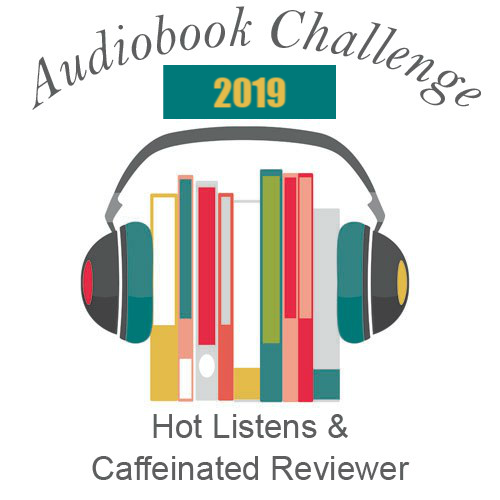 I’m not sure if it was because the books were getting darker, because some familiar characters seemed to be changing in ways I didn’t like, or because I started seeing some repetition, but I just lost my taste for the later books. I still reread those first five, though! 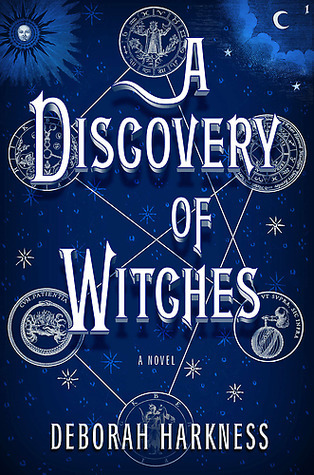 I’ve read A Discovery of Witches, but have so far been undecided on whether or not to read book 2. So it is good? Is it better or worse than Discovery of Witches? Hi, Ciuva! Welcome to The Bookwyrm’s Hoard! Thanks for the recommendation regarding Wise Man’s Fear. My daughter and I are listening to it together, but we’ve only just started. (She has already read it — several times!) I agree that the first one was awesome!